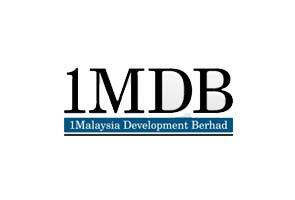 KUALA LUMPUR: 1Malaysia Development Bhd (1MDB) is in the process of undertaking the initial public offering (IPO) to inject capital flow into the sovereign fund to overcome its cash flow problems. Second Finance Minister Datuk Seri Ahmad Husni Hanadzlah, said this short-term measure would be launched in June or July. "The IPO is important. It is needed to restructure borrowing," he said. Ahmad Husni said this in reply to a supplementary question by Mohd Fasiah Mohd Fakeh (BN-Sabak Bernam) on the financial position of 1MDB at Dewan Rakyat here today. Replying to the original question by Mohd Fasiah on the performance of 1MDB, Husni said, the fund has launched two initiatives -- consolidation of the business and rationalisation to improve business potentials. He said the consolidation initiative involved putting the energy business under subsidiary, Edra Global Energy Bhd, which has big potentials. "The returns in terms of gross revenue is about RM3.8 billion and net profit of RM1.3 billion," he said. Ahmad Husni said for property development in the long run, the focus was on Tun Razak Exchange (TRX) which has a gross development value of RM40 billion and Bandar Malaysia (RM150 billion). "The development of TRX will take 15 years with the first phase expected to be completed by 2018 and the Bandar Malaysia development would start end-2016 once the relocation of the quarters of the armed forces and police personnel," he said. On the rationalisation of 1MDB's land asset, Ahmad Husni said the land in Penang and Pulau Indah could be 'monetized' because the company needed more cash to launch development projects. On a supplementary question by Rafizi Ramli (PKR-Pandan) on the 'standby credit', he said the amount was RM950 million and not RM970 million. 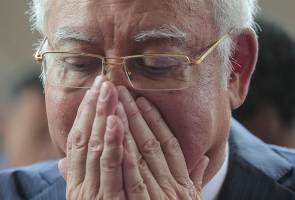 "About RM60 million has been used," he said.